Unicorns – the mere mention creates the image of a magical land in the mind, and that’s why they are one of the most loved fantasy creatures of all times looking marvellous with their golden horns. 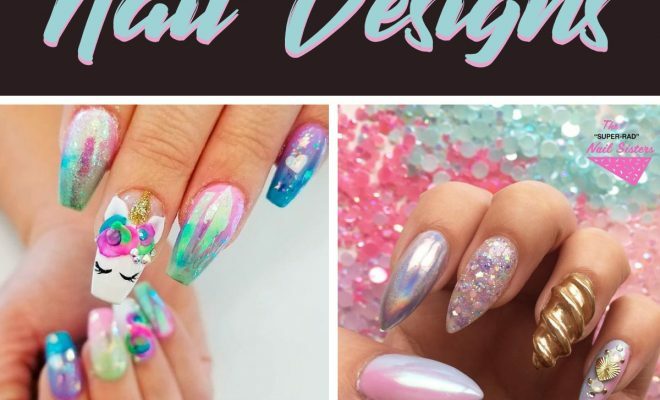 Inspired by the creature, here are 25 mystical unicorn nail designs that are unbelievably pretty. 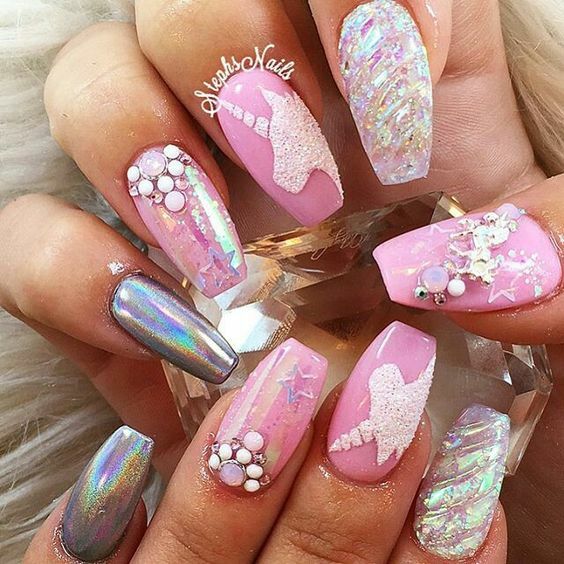 Blend in some on-trend manis together to end up in this glorious unicorn theme nail design. While a subtle ombre of lavender and blue rests on some tips, drama comes into play on the others with a bold glitter on the others in multi-color. 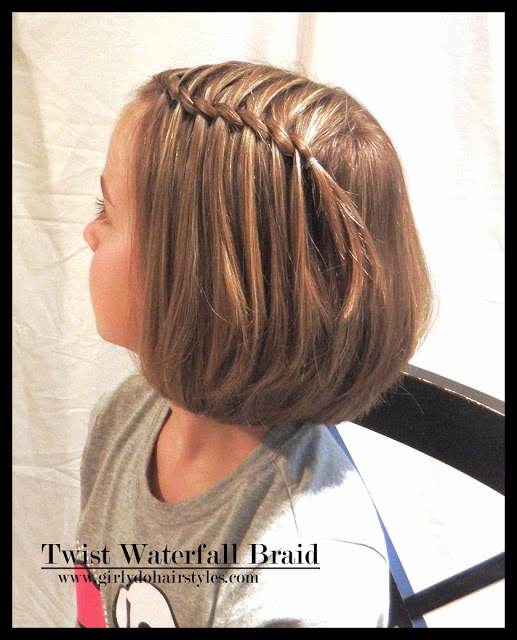 The special tips here are the unicorn horns done in bright silver in a 3 dimensional design. Complete the look with glitter stone embellishments. Everything mystical, including a unicorn horn and the colors of rainbow seem to have landed onto these fingertips. Worked up in stiletto shapes, the nails have got eye-catchy neon hues, having some of the tips adorned with jewels around the cuticles. 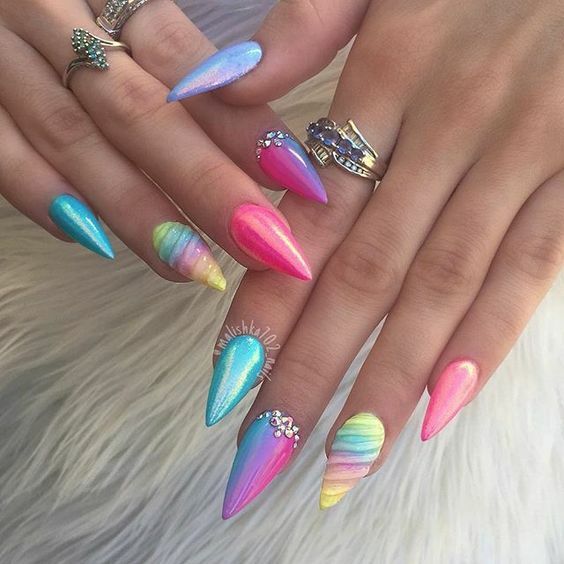 The unicorn horns are sculpted into the tips in a soothing rainbow theme, while the other tips go for metallic pinks and blues. Is there anyone who wouldn’t fall for those super cute unicorn eyes with pretty eyelashes worked up on white backdrop nails. The colorful unicorn here painted on the tips, along with a lovely golden horn embellished on the top is simply mesmerising. For the other nails, you can go for pastel color rose flowers using a thin nail art brush sticking to white for the base yet again. The fact that these tips glow in the dark is going to make sure you steal all the attention at the party, celebrating unicorns with a dash of glam. A super sparkly one of all unicorn nail designs, this one goes for a lovely base of pink glitter with a partial translucent texture. 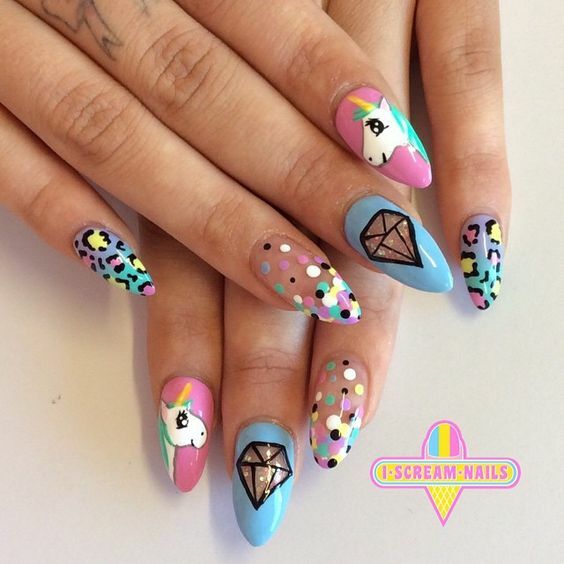 The accent nail here is decorated with large crystals and stones, while the other is sculpted into a unicorn horn in a rainbow theme. 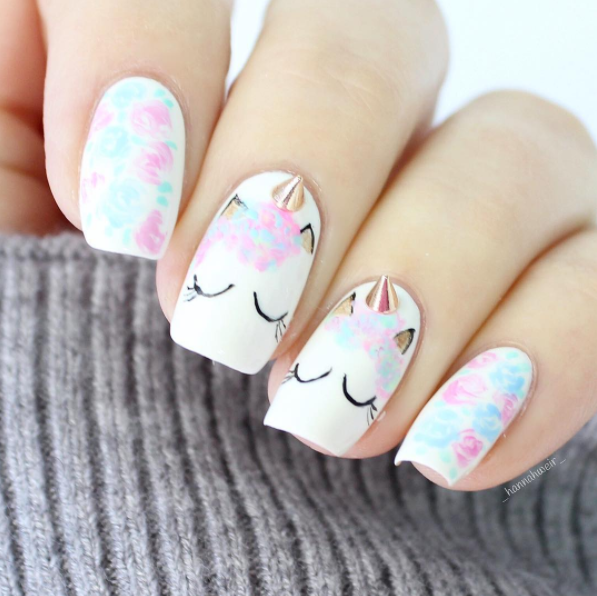 Paint a pretty unicorn face on the thumb and voila! If you are obsessed with shiny gold nail designs, then this golden unicorn horn worked up on your accent nail is all you need to shine this evening. 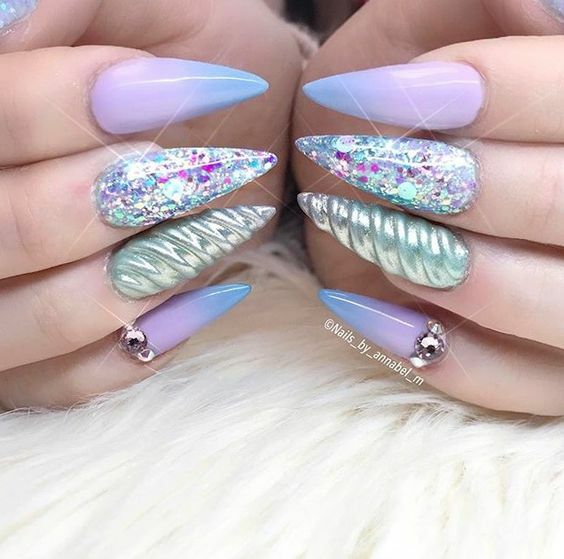 The special part about this mani is that each of the nails is unique – you have got bold silver metallic paint on one, soft pink and lavender ombre on the other, the same ombre with embellishments on the third, a silver glitter on the middle finger, and a 3D unicorn tip on one. 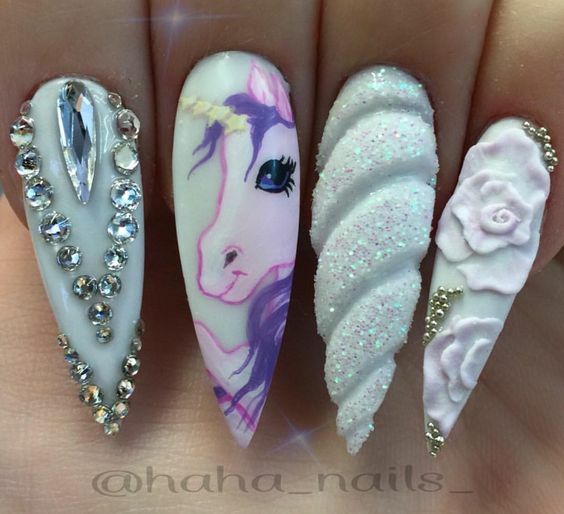 Let your artistic skills flowing atop your fingertips, working up a beautiful unicorn in 3 dimension on your nail. The colorful hair of the creature are going to steal the show, while the remaining nails does the job of highlighting it just perfect. Most of the tips are coated with a glittery lavender, having one of them sporting pretty sculpted flowers, and two accent nails are turned into unicorn horns yet again. Now here’s a mani that’s not at all overdone and lets you work up a unicorn design that you can wear to a party, a romantic dinner date, or even a regular day out. 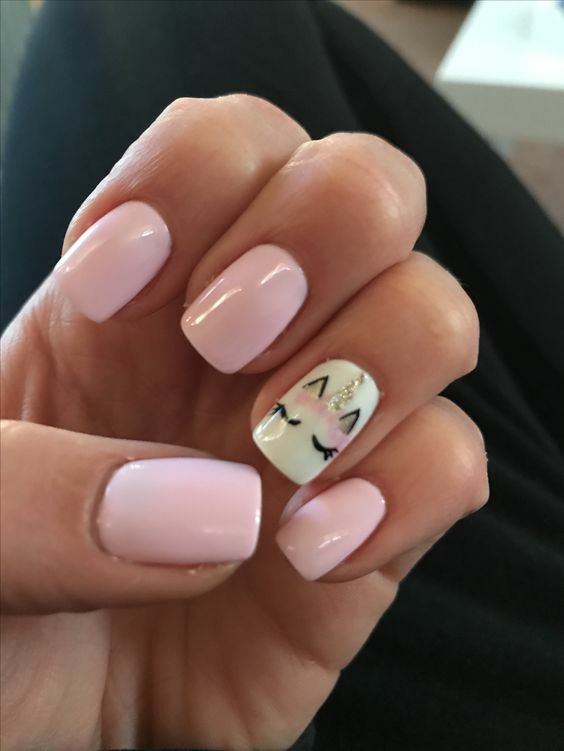 Keeping it simple with a pastel pink for all the tips, this design sports adorable unicorn features painted on the accent nail. A thin nail art brush is used to draw closed unicorn eyes and ears, accompanied by a glittery horn. It seems that a fairy has casted a magical spell on these unicorn fingertips. Dominating the design with different hues of bright pink and purple, this one features a heavy dose of sparkle to make the design stand out. While you have also got a marble like design on some tips, the most amazing thing is surely that iridescent swirl working up the sculpted horns on one of the tips. Swirls of silver, loads of jewels and of course, curvy strips painted in glitter are marvellous. 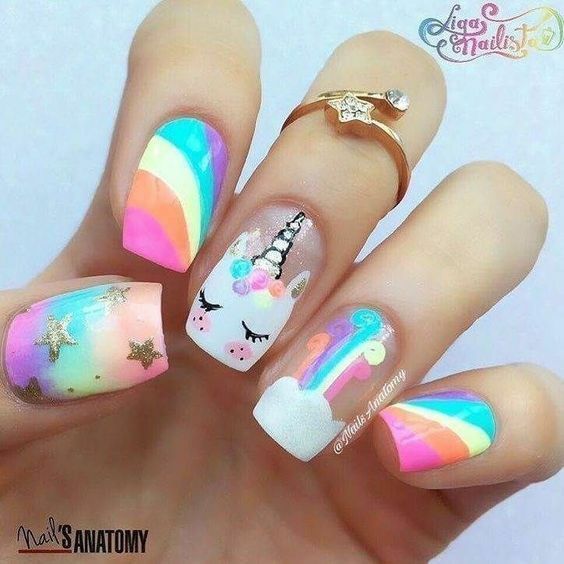 The kiddos are going to fall head over heels in love with this endearing unicorn nail art as everything here seems to ooze rainbows. The thumb has a merging rainbow effect with glittery stars painted on top, while two of the tips feature flowing rainbow effects. 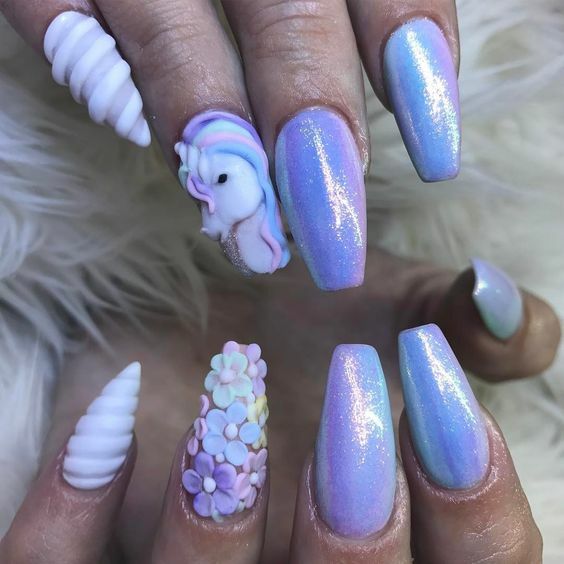 A unicorn face with a rainbow horn and pretty pink cheeks is drawn on the middle finger, while the accent nail is totally worthy watching out for. 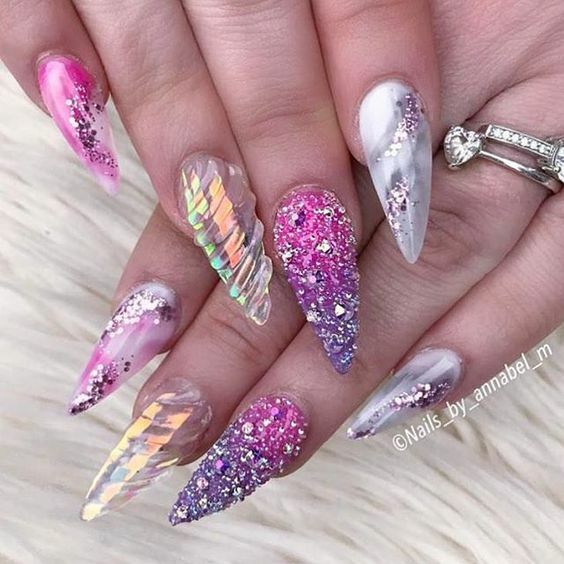 The only element on these nails that goes for a 3 dimensional sculpting is those unicorn hair that look more like florals and colorful leaves than hair to get that fantasy effect on point. The other fingertips are alternated by a solid coat of hot pink and a soothing shiny metallic pink. For a little extra decor, you can always throw in a few stones and embellishments. That unicorn tip is no less than a page from a sketchbook – thanks to the fine lines and details sported by the unicorn profile face painted on the tip with purple hair, a golden horn and a lovely soft pink face. Next to it is a 3D unicorn horn that goes for a magical white and a touch of silver glitter. You have also got sculpted flower tips, and a solid milky base tip with silver stones. Could leopard and unicorn be combined in one single nail art, yet not make it seem out of place? 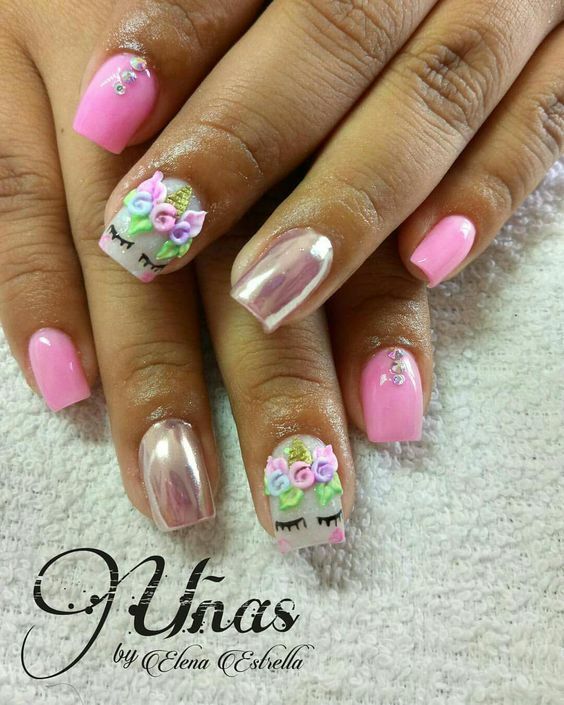 These super cute nails prove that just right, wherein you have got a lovely colorful leopard print worked up on the pinkies with an ombre background, while adorable unicorns are painted on two of the tips in a pink background. For extra beauty, there’s negative space with colorful dots and a diamond done on the others. Name just about any glamorous manicure category and you are surely going to spot it on these nails! Those metal silver coated nails go just like magic with the lavishly jeweled pink nails adorned with pretty stars. Oh yes, there’s also adorable unicorn silhouettes done in glitter, while the beautifully glittery sculpted unicorn horns take the awesomeness to new heights with their translucent touch. ← Previous Story 7 Tips on How to Strengthen Your Nails Easily!